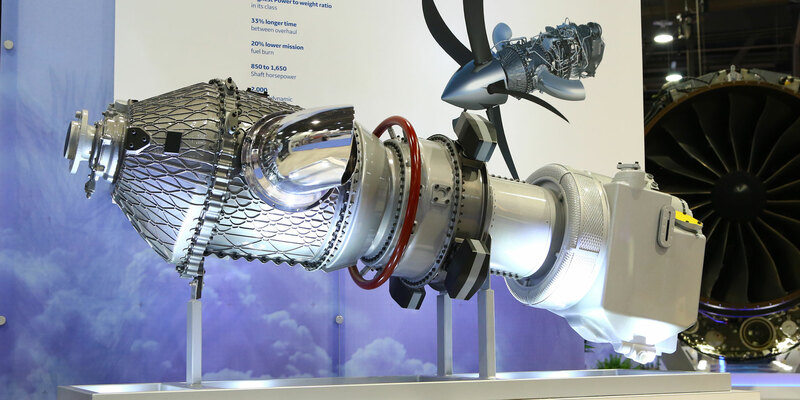 GE Aviation is preparing for the first engine run of its Advanced Turboprop (ATP) engine, which was launched as a clean-sheet design in 2015. The first such design to hit the turboprop market in more than three decades, it was chosen to power Cessna’s new single-engine Denali. According to Brad Mottier, vice president and general manager of GE’s business and general aviation and integrated systems organization, approximately 85 percent of the parts, including those manufactured through additive technology (3D printing), have been delivered to the company’s facility in Prague, where the powerplant is being assembled in anticipation of run testing by year-end. Currently, the company’s engineers are conducting axial-centrifugal compressor vehicle (ACCV) tests at its European Technology Center in Munich. The ACCV consists of the ATP’s stator, rotor and cold-section assemblies, and the tests will validate its efficiency, performance and operability. “Our engineering group is optimistic that the performance numbers that we quoted for ATP will be met or exceeded,” Mottier noted. The company expects it will be able to migrate the new technologies that it is using on the ATP, such as extensive use of additive manufacturing, to other platforms such as the smaller H-series turboprop engines. The engine-maker’s other new program, the Passport turbofan, is sharing the spotlight at the show, with the debut of the Bombardier Global 7000. The 18,920-pound-thrust engine, which received FAA certification last year, has accumulated more than 3,300 hours, with 3,385 endurance cycles as of the latest count. Mottier revealed that an incident that occurred earlier this summer in the Global 7000 flight-test program, which required an engine to be shut down in flight, was due to an isolated assembly error on the powerplant. He said the company is now in the process of preparing for full-scale production, with the ultra-long-range twinjet’s entry into service expected in the second half of 2018. 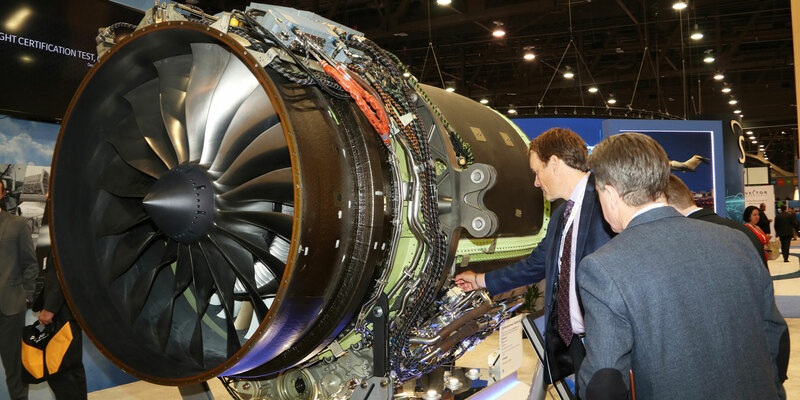 With the advanced sensor capabilities installed in both of the new engines, GE plans to bring the same OnPoint diagnostic technologies to bear as on its newest commercial engines. Mottier told the audience that each of the engines will have a “digital twin” computer model from the time it is assembled and tested, and that virtual engine will fly every mission as its real-life serial number counterpart, under the same conditions.